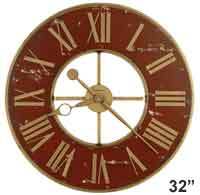 The Howard Miller Brassworks II 625-569 is an over-sized, large wall clock showcases a distressed red dial with metal outer frame finished in antique black with brass undertones and highlights. The dial features aged iron-finished gears viewed through an open center. The spade hour and minute hands are finished in antique black with brass undertones and an antique black-finished gear in the center rotates. 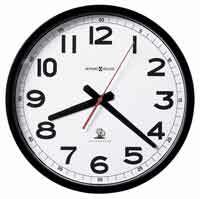 Quartz, battery-operated movement requires 1 AA battery. Size: Dia. 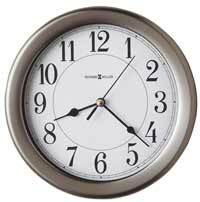 32" D. 2-3/4"
Clocks for sale at The Clock Depot including the 625-569 at discount prices.